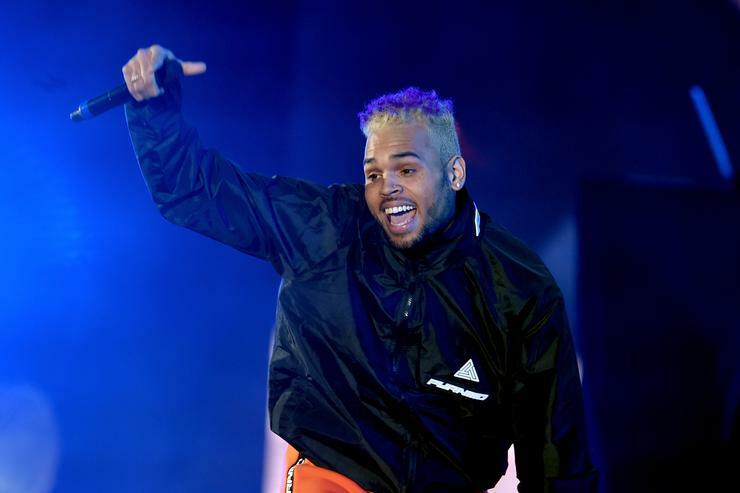 Although he vehemently denies the allegations against him, the sexual assault case involving Chris Brown is moving forward. A woman who has only been referred to as Jane Doe alleges that back in February 2017, she ended up at the singer's home after a night of clubbing. She says that while there Brown gave her drugs including cocaine, marijuana, and molly before his friend, Lowell Grissom Jr., allegedly raped her. The woman also says Brown was walking around showing off firearms, including one that he allegedly carried in his waistband. The Blast reports that when the woman's mother became worried, she used software to track her daughter’s phone. The mother alerted the police to her daughter's location but were denied entry upon arrival. Grissom has stated in documents that anything that happened between him and Jane Doe was consensual and denies assaulting the woman. It's now being reported that court documents show that Jane Doe has requested a home inspection of Brown's mansion, a request that he's agreed to. She is allowed to have her attorney look through the rooms she was in on the night in question, and if she recalls being in other rooms while there, as long a Brown approves, they can visit those rooms as well. Of course, she won't be wandering around Brown's home; there will be a videographer and two attorneys. An initial walkthrough with Brown's attorney will be conducted beforehand and that will not be taped. The woman will wait outside with one of her attorneys while the other completes the inspection. The woman has two hours to complete her inspection and Brown has permission to record the event as well, however, he cannot show the woman or any of the attorneys. Jane Doe previously objected to Brown filming the inspection because she claimed it was an intimidation tactic. He refuted those accusations and said he just wanted to make sure his home was protected. She is suing for unspecified damages.